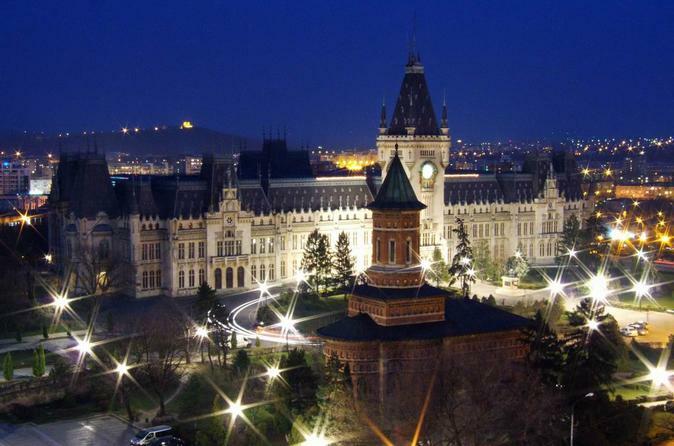 Chisinau is the capital of the Republic of Moldova, a very modern green and cozy town in the center of our country. 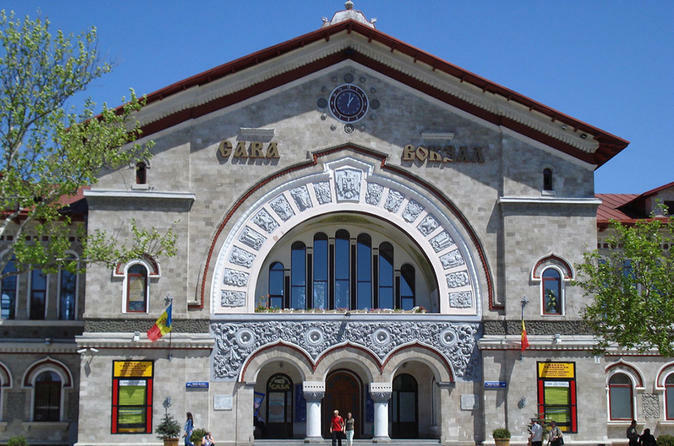 The excursion includes visiting the historical centre of Chisinau, administrative and cultural edifices on the main boulevard Stefan cel Mare, the main square of the General National Meeting, two central parks, churches and museums of the city, Central Market, market of souvenirs, W.W.II memorial. Visit Cricova, founded in 1952, one of the most fascinating wonders of the world with its wine cellars and underground city flair. 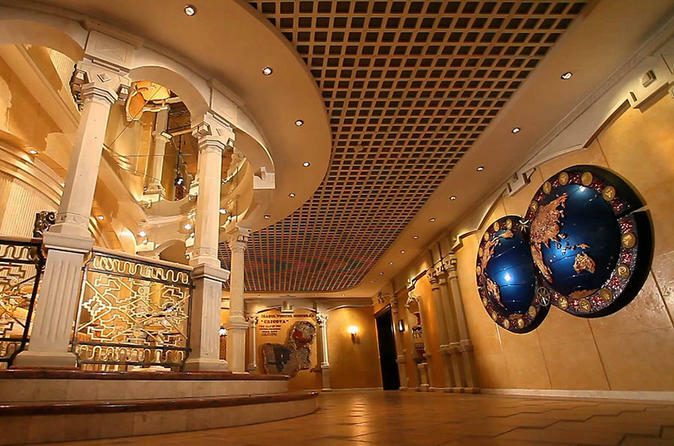 Enjoy a tour of the Milestii Mici underground winery. This 4-hour excursion begins when you are picked-up from your hotel and your private driver takes you to the winery. This tour guided of the underground winery includes wines tastings, and treats. Taste 6 wines, enjoy snacks and a meal, and receive two bottles of wine to bring back to your hotel. Enjoy a full-day private tour with a picnic at Tipova and Saharna, the most beautiful cave monasteries. 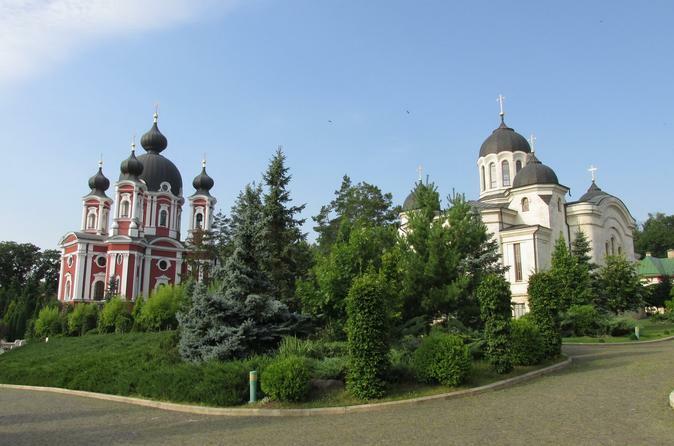 Explore Tiraspol, the capital of the unrecognized Transnistrian Moldovan Republic and a hub of culture and commerce in Moldovia.You will visit Bender, Novo-Neamt Holy Ascension Monastery, and Tiraspol. 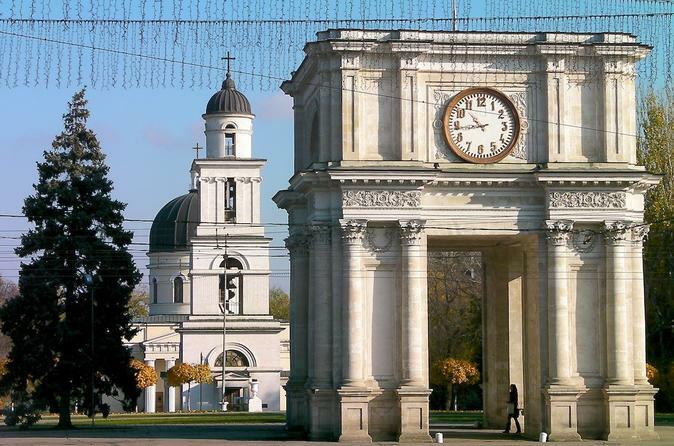 Chisinau- the capital of Moldova! The name Chisinau comes from Romanian word "chisla noua" which refers to a spring on the corner of Pushkin and Albisoara streets around which the original city was built . We are going to see the city centre by walking. 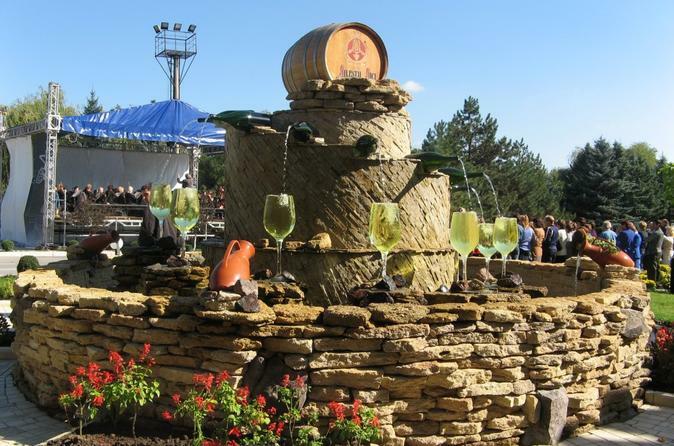 Excursion to Cricova winery and Tiraspol city, Transnistria, 2 excursions in one day. You will depart to one of the most fascinating places in the world, Cricova cellars. 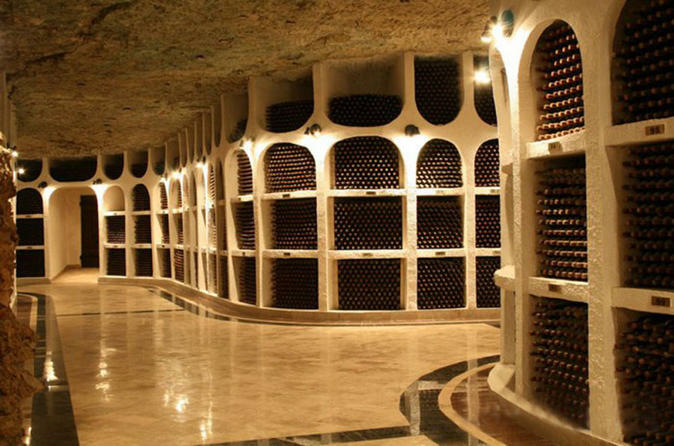 Founded in 1952, the cellars are situated underneath the small Cricova town and form an underground city. 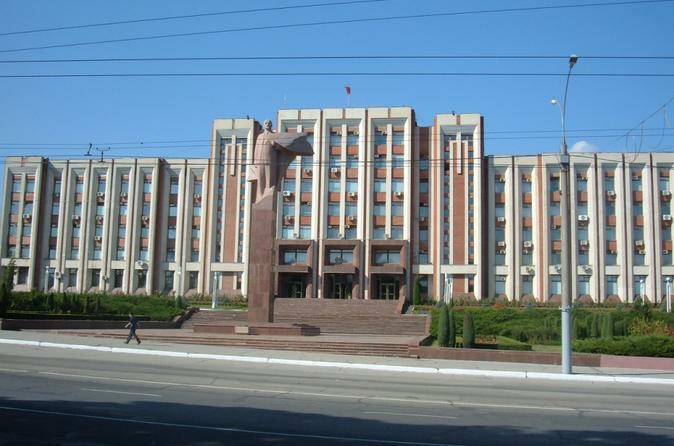 Your trip will continue in the Transnistria region, Tiraspol city, the capital of the unrecognized Transnistrian Moldovan Republic. The town was founded thanks to the Peace Treaty of Jassy, which was concluded after the Russian-Turkish War (1787-1791) between Turkey and Russia. Orheiul Vechi is a historic-monastic conservation complex, situated 40 miles away from Chisinau, on the site of the Moldovan medieval city Orhei - the only medieval town on the territory of the country (XII-XVII centuries). Old Orhei - one of the most remarkable monuments of the dim and distant past. 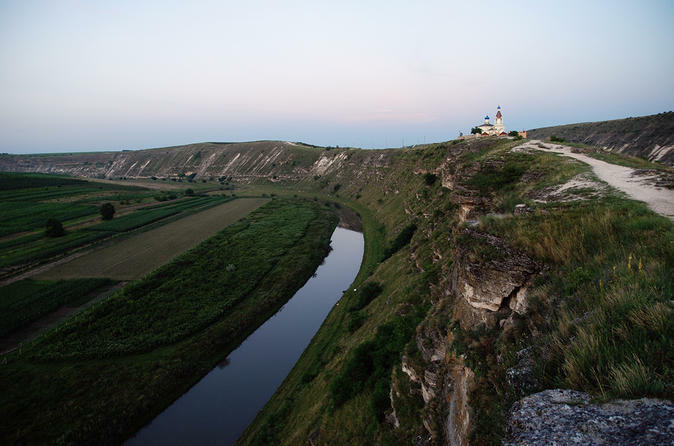 On the eastern outskirts of the fully stocked wood, in a valley formed by cliff rocky banks of the river Reut, at the Cape Pestere ("cave"), it was the city of Old Orhei. 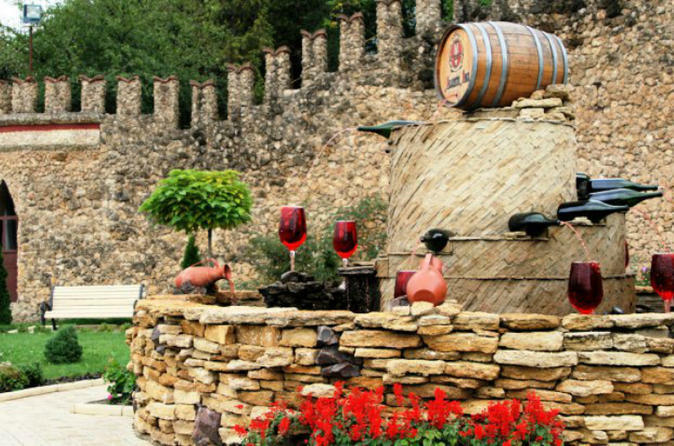 Excursion to Cricova winery and Monastery Curchi and Old Orhei, 3 excursions in one day. 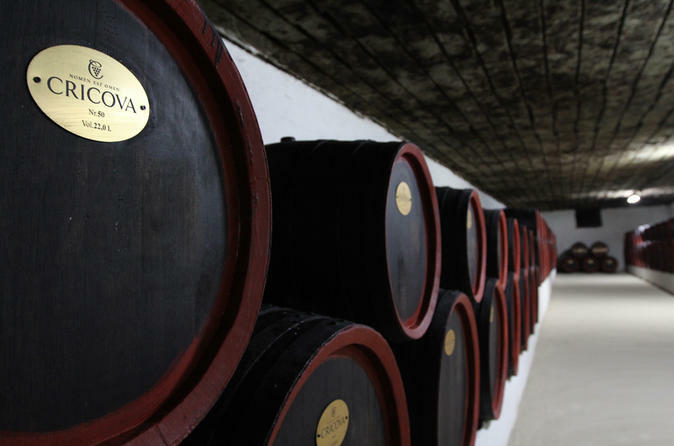 You will departure to one of the most fascinating wonders of the world - Cricova cellars, that was founded in 1952. They are situated under of the small Cricova town and those cellars form an underground city. The excursion will continue in the North direction, Monastery Curchi - is a genuine gem of architectural art. The third point that will be visited in this full day of excursions is Old Orhei - one of the most remarkable monuments of the dim and distant past. 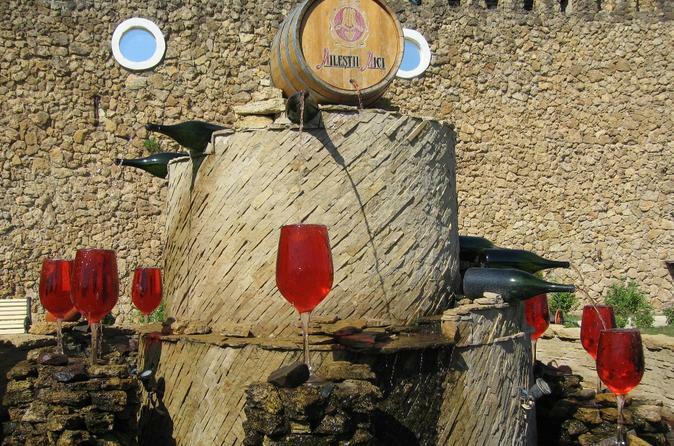 Excursions to Milestii Mici Winery and Tiraspol Transnistria. We will be driving a distance of approximately 20-miles (30 km) from Chisinau. 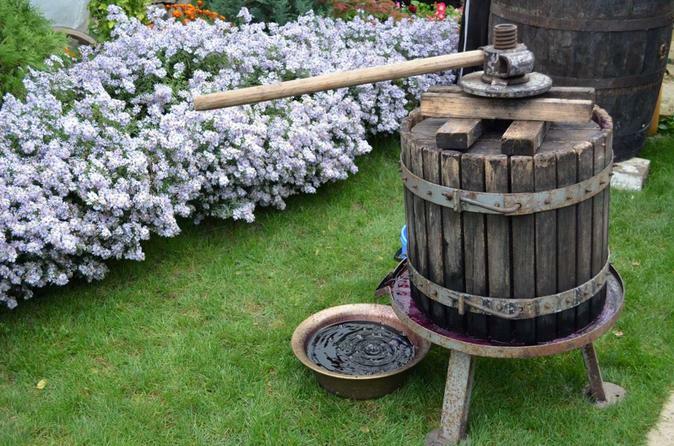 Once there, you'll have an excellent opportunity to visit one of the oldest wine production sites in Moldova – the wine cellar "Milestii Mici". The total length of underground streets reaches approximately 125-miles (200 km), and its depth varies between approximately 130-270 feet (40-85 meters). Here you can see more than 2 million bottles, which have been recorded in the Guinness Book of Records in 2005. Your trip will continue in Transnistria region, Tiraspol city, the capital of the unrecognized Transnistrian Moldovan Republic. The town was founded thanks to the Peace Treaty of Jassy, which was concluded after the Russian-Turkish War (1787-91) between Turkey and Russia. 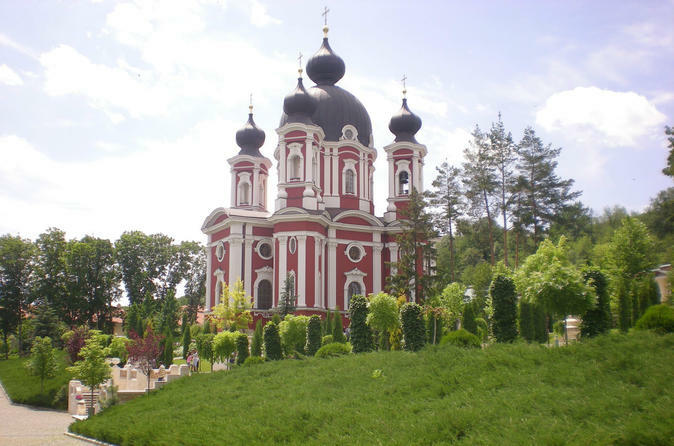 Excursion to Curchi Monastery and Old Orhei and Chateau Vartely, 3 excursions in one day! 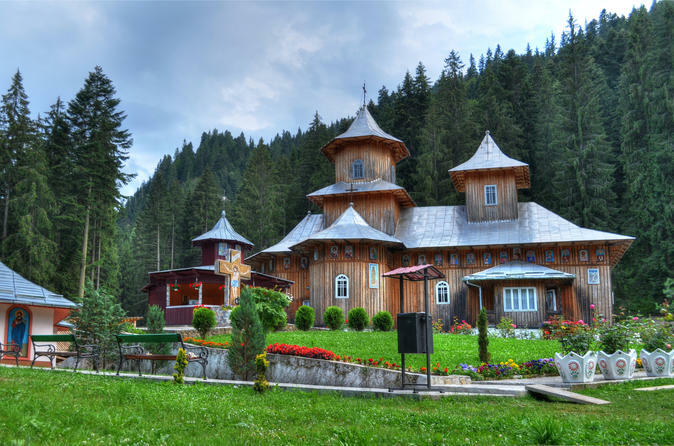 In the North direction, Monastery Curchi - is a genuine gem of architectural art. At various times it was the centre of work and unique creation of priests, monks, churchwardens, architects, landscape designers. 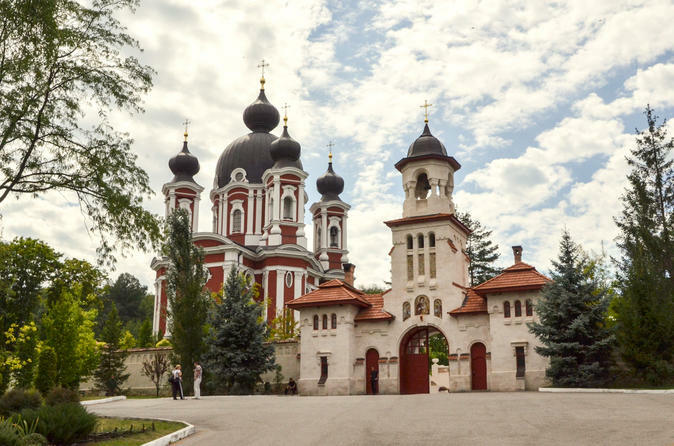 Today the Curchi monastery revives the spirituality of the Orthodox people and preserves ancient traditions. 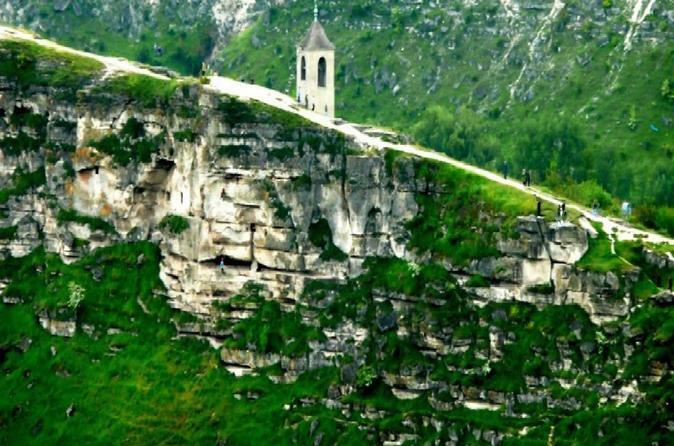 The second point that will be visited in this full day of excursions is Old Orhei - one of the most remarkable monuments of the dim and distant past. On the eastern outskirts of the fully stocked wood, in a valley formed by cliffed rocky banks of the river Reut, at the Cape Pestere ("cave"), it was the city - Old Orhei. Then we are going to visit Chateau Vartely - it is a young but in a good way rather ambitious winery located directly in Orhei. 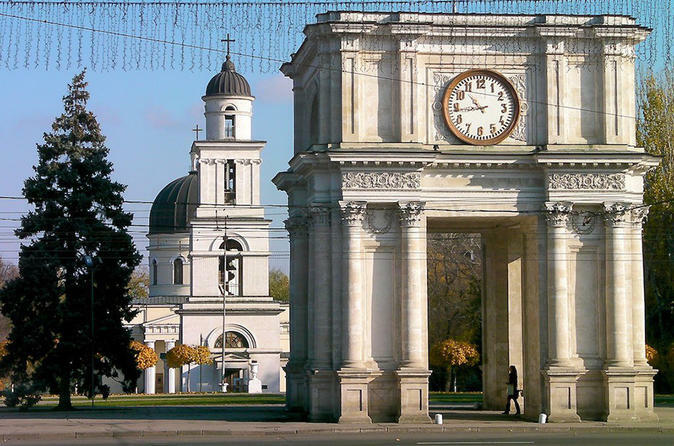 Chisinau- the capital of Moldova! The name Chisinau comes from Romanian word "chisla noua" which reffers to a spring on the corner of Pushkin and Albisoara streets around which the original city was built . See the city center with your small group! Walking Tour Molovata – Orheiul Vechi. 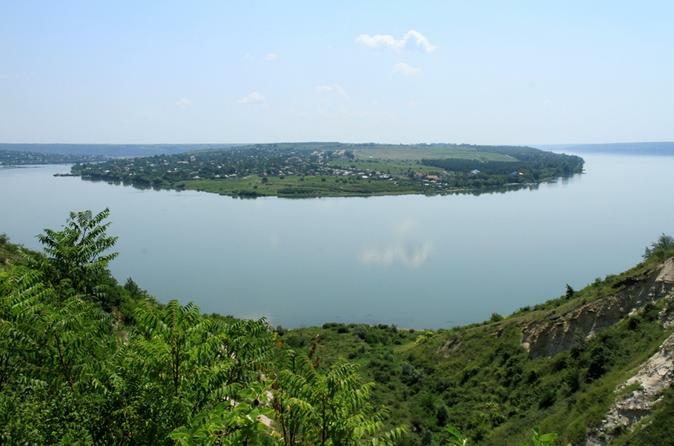 We invite you to visit the best places located near the river Dniester! Old Orhei is one of the most remarkable monuments of the dim and distant past. A specially designed tour for oenophiles (connoisseurs of wines)! And if you are not an oenophile, you can become one for 3 days! Tune in for an active leisure, positive emotions and a mega dose of wine! 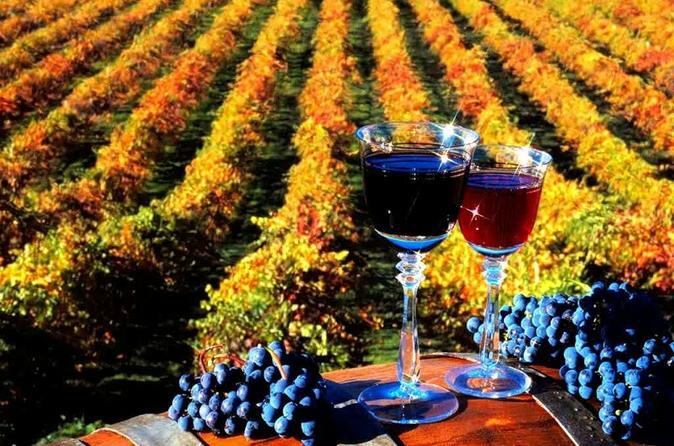 You will delve into the world of wine by visiting the best wineries and tasting the most delicious Moldovan wines! What makes the tour exclusive? 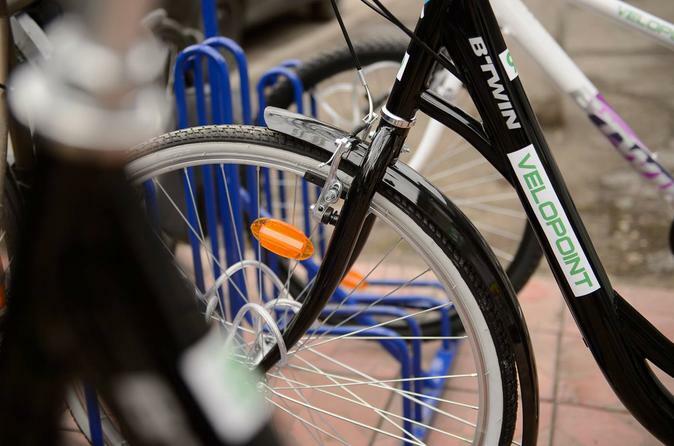 It's by bike! 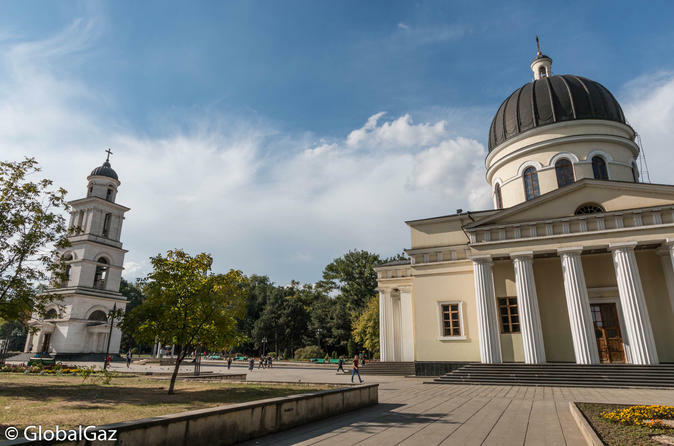 The tour includes visiting the historical centre of Chisinau, administrative and cultural edifices, churches, museums and parks of the city, market of souvenirs, WWII memorial and other places of interest. The tour can be planned depending on your preferences. Chisinau - the capital of Moldova. 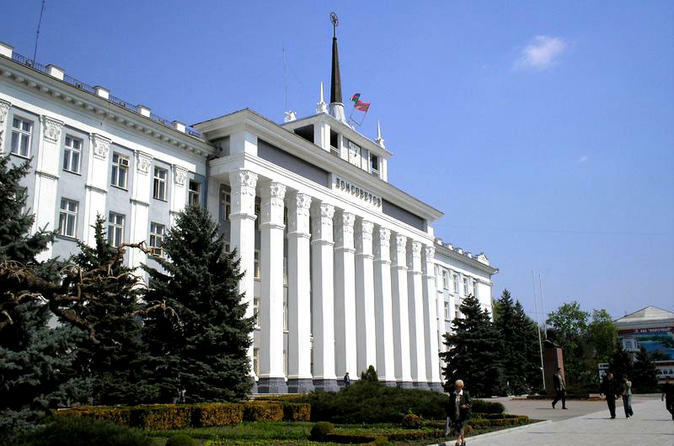 The name Chisinau comes from Romanian word "chisla noua" which refers to a spring on the corner of Pushkin and Albisoara streets around which the original city was built. Tour includes: Parks of the city, city center, the micro-districts: Telecenter, Botanika, Sculeanka. Walking: Cathedral Park, Valea Morilor, Memorial of Military Glory, and Railway Station.